Now we know. Demond Keith Reed, a 4 year old, shouldn’t have soiled his pants; at least not while he was being looked after by Carla Cherisse Poole, who has now admitted to beating the Minneapolis boy to death, according to the Hennepin County attorney. Minneapolis was just getting to the point of boasting that, so far, there were no murders in the city in 2008. Then it got the most heinous one imaginable. If you have any horror at all left over, save it for Child A. That’s how the court complaint describes the 11-year-old, who apparently watched as two younger children helped hold Demond down while Carla beat him. Child A told the cops about the beating, and Demond’s seizure and vomiting. You know all those stories about how 5 and 6 year olds save lives by using 911? Not Child A. In a house too filthy, police cadaver dogs couldn’t find anything, even though the boy, now dead, was being hidden in a bedroom for two days, before being moved to a closet. 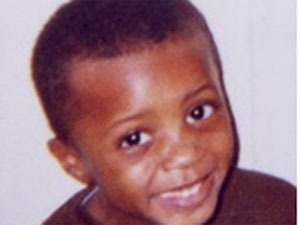 Child A stated that during the weekend of February 1, 2008, Demond had soiled his pants and had been ‘spanked’ by the defendant. She stated that he had a seizure and began to vomit. Child A stated that Demond’s health deteriorated over the next several hours. She stated that the defendant discussed calling 911 and an ambulance, but decided not to because she was afraid. Child A stated that Demond stopped breathing and that the defendant attempted to give him CPR. Child A listened for but did not hear a heart beat. Child A stated that the next morning Demond was “frozen” and not breathing. The defendant placed a grey blanket over Demond and left him lying on a bed for approximately two days. Child A states that the defendant eventually moved him to a closet on the first floor. Child A described Demond as having his face squished in and that she didn’t want to look at him. A six-year-old child hereinafter referred to as Child B witnessed the defendant beating Demond. Child B states that he and a four-year-old child were told to hold Demond down by the arms while the defendant beat him. ‹ Older English as the official language? Science has probably defined some of the causes that produce humans that do not recognize others as human. Only their own needs matter. What science cannot do is provide a way to stop it from happening. Children learn first by copying and only move on to evaluating their actions when taught to do so. Children A and B and probably little C too have learned a hideous lesson. Four young lives…. What do you think Children A, B and C learned? Probably not that what happened was wrong, but that getting caught was the problem. That seems to be “the” lesson: “As long as you don’t get caught, whatever you do is o-kay.” Sociopathy does have a cure, but it seems many don’t want to hear it. Others want to twist it and use it for their own ends. The answer can be found where statements such as these are found: “Love your neighbor as yourself”, “Do unto others as you would have them do unto you”, “Fathers, provoke not your children to wrath”. The answer–now everyone addicted to psuedo-political correctness can stick their fingers in their ears, drum their feet on the floor and scream, ‘NO, NO, NO’–the answer is to be found in the teachings of Jesus the Christ about love and forgiveness and redemption and RESPONSIBILITY for self. The promise of the New Covenant, not the self-serving, cut and paste greed of the wannabe aristocrats or those who would prefer to find a substitute for values so gray they can happily get lost in the fog. Perhaps we all need to truly think about who our “neighbors” are?. During the past 8 years our society has left many behind. North Minneapolis has pockets of hell for children and parents left to poverty and no future. I believe that the best measure of a society is how well we treat the most vulnerable. We aren’t doing well. “We become what we receive”. When children are loved, cared for and valued they grow strong and healthy. When they aren’t there can be terrible consequences for all. Personal responsibility may be part of the answer, but only a piece of it. There is no apparent ‘system’ for checking the suitability of caregivers when a parent is incarcerated, since the late little Demond just went into the care of Ms. Poole when his father went to serve a term. Demond’s father must not have had a lot of options [or else he did not consider them very carefully], if he went to his cousin, Ms. Poole, who would apparently not have been the first choice for many people needing a caretaker for their child. I think the TV report indicated Ms. Poole had 4 children of her own that have been put in custody. It seems unlikely that these children will live with their mother again during their formative years if she has admitted to beating Demond to death. So Hennepin County, I guess, will be responsible for finding a new home for them. Placing them together or separate will be one issue to consider for the children that witnessed a crime, and were reported to be participants. Ms. Poole apparently did not comprehend that ‘soiling his pants’ could be ‘normal’ behavior for a child that has just experienced a change in custody, and lacked the capacity to deal with it in a manner that was nurturing for the child. I hope the new ‘parents’ for the children will give them the guidance they need to make decisions on right and wrong, and forgiveness for their witness / participation with their mother. Shockingly traggic. I suddenly feel light-headed and nauseous. I enjoy your blog but wish I hadn’t read this. There are good parents, bad parents, and women like Ms. Poole who should never be allowed to be parents in the first place. This crime is unfathomable and no child should have to endure the violence such as Demond did, nor should other children ever have to witness such horror and then be afraid themselves of wanting to do the right thing (such as call 911). Ms. Poole should be beaten in public and endure the same trauma little Demond did. If the State charged money to those wanting to observe her punishment, then maybe there would be a surplus available to actually assist children and families so that the little ones can grow and thrive instead of cycling through the same, abusive family circle such as the ones Ms. Poole’s children will probably endure. Do you believe we are all born evil and must learn not to be? I am feeling as much pain for Ms. Poole as I am for her children and Demond. America? Poverty? Education? social services? Religion? All failed her, her kids… Demond and probably, her family tree back to who knows when. Volunteer in that neighborhood, see the conditions people are living under… help clean this situation up. Or sit back in your comfy chair and pass judgement.